Eddie’s Market – eating my way through Charm City! Eddie’s Market is a great spot for lunch, even when you are in a hurry. 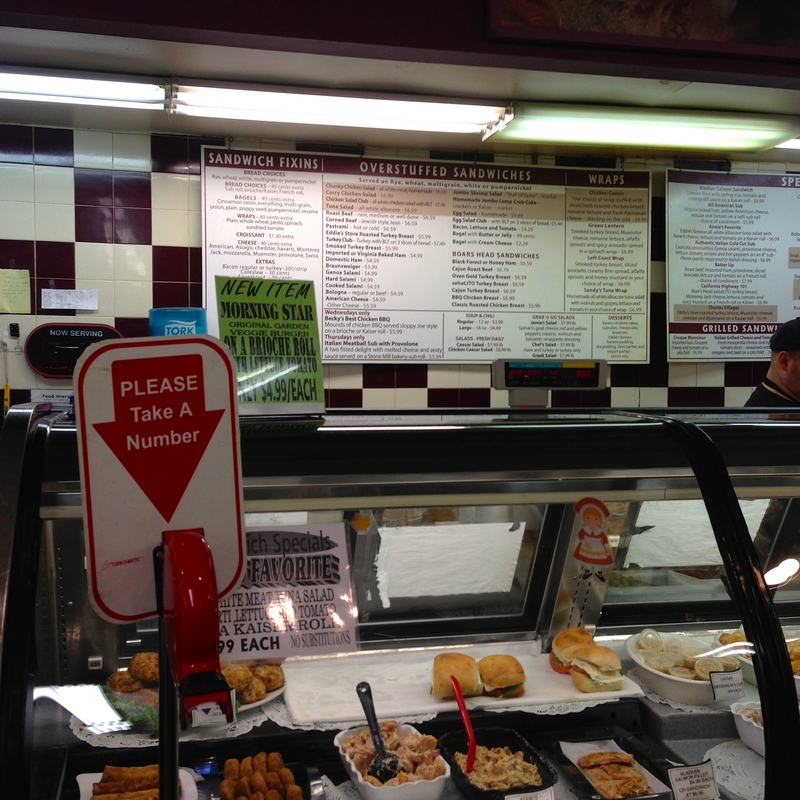 I went to the one in Charles Village – they have great folks working behind the deli counter. They can whip up a sandwich in minutes and have a bazillion choices. Plus, you can make your own. Monday through Friday, they have at least three lunch specials – usually a vegetarian option, a cold sammy and also a panini. They come with chips and a drink for about $6 – how can you beat that? I went with on a Friday and the panini special was the Marilyn Monroe. Eddie’s uses mostly Boar’s Head meats. This one comes with chicken breast and a little pepperoni. As a panini they put it on a flatbread (instead of the kaiser) and then melt fresh mozzarella. It’s grilled in the panini press after being topped with a little lettuce, tomato and honey mustard. This was one of those lunches that I was almost a little sad eating the last bite. When you go, make sure to pick up a sandwich card (or salad for the fresh salad bar). Buy 6, get the 7th free. This entry was posted in All Good., Charles Village, Charm City, Lunch. Bookmark the permalink.